The Best UK Vintage Blogs from thousands of UK Vintage blogs on the web using search and social metrics. Subscribe to these websites because they are actively working to educate, inspire, and empower their readers with frequent updates and high-quality information. UK About Blog Vintage Life Magazine is full of vintage style, from style and fashion, hair and beauty, house and home, to music and film, everything great about the 20s, 30s, 40s, 50s, 60s through to the 70s – all in one great magazine. Facebook fans 1,038,577. Twitter followers 56,661. London, UK About Blog Vintage inspired 1940s and 1950s clothing and accessories. Collectif was established in the year 2000. Facebook fans 175,061. Twitter followers 8,676. London About Blog Discover vintage fashion clothing for men and women at Beyond Retro. Facebook fans 94,696. Twitter followers 14,253. UK About Blog Vintage Travel Offer Hand Picked Villa Holidays in Unspoilt Locations. From Authentic and Historic Houses to Modern Villas - Each with a Private Pool. Facebook fans 4,233. Twitter followers n/a. Milton Keynes, UK About Blog Victoria's Vintage Blog is a UK vintage style travel, home, food & lifestyle blog. I like pretty dresses, home decor, cats, and cake! Facebook fans 4,337. Twitter followers 8,862. 162 Holloway Road,London N78DD About Blog Blue17 vintage clothing contains fashion, accesories and vintage clothing for Men & Women. Blue17 is also known for cheap vintage clothing that doesn't make any sacrifices on quality. Facebook fans 6,295. Twitter followers 1. Shrewsbury, England About Blog Hi! I'm Abi, a twenty something retro lingerie designer from the UK. Blogging and Vlogging about my dressmaking, pattern hacks, sewing tutorials and more, usually of the vintage persuasion. I build my own handmade wardrobe, develop my skills as a seamstress and share my makes with the world! Facebook fans 1,685. Twitter followers 1,257. Birmingham, England About Blog Ada's Attic Vintage Blog, Modern Curated online vintage boutique offering the very best in handpicked vintage clothing. Read our blog for store news, promotions and much much more. Facebook fans 913. Twitter followers 720. UK About Blog I'm Vix, a jumble sale-ing, car-booting, skip-diving, charity shopping, hedonistic hippy chick in love with life, India and vintage clothes. In my world getting dressed is always an adventure, never a chore. My style is Woodstock refugee meets Rolling Stones groupie with a bit of vintage Bollywood thrown in. Facebook fans n/a. Twitter followers 761. UK About Blog Sharing frugal tips and vintage finds. 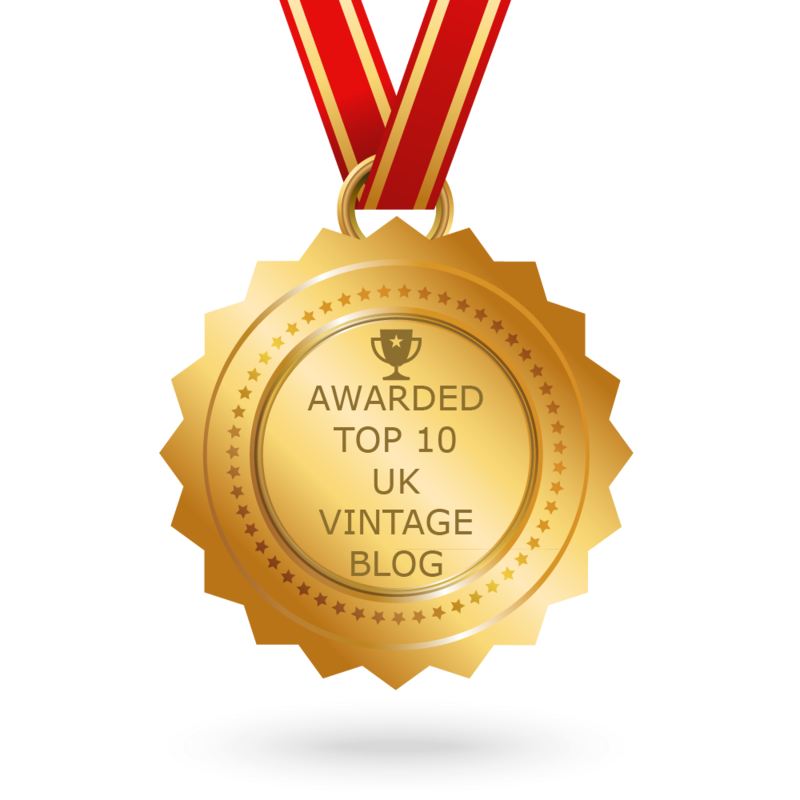 CONGRATULATIONS to every blogger that has made this Top UK Vintage Blogs list! This is the most comprehensive list of best UK Vintage blogs on the internet and I’m honoured to have you as part of this! I personally give you a high-five and want to thank you for your contribution to this world.